The only crew management system designed and built by rowers, for rowers. 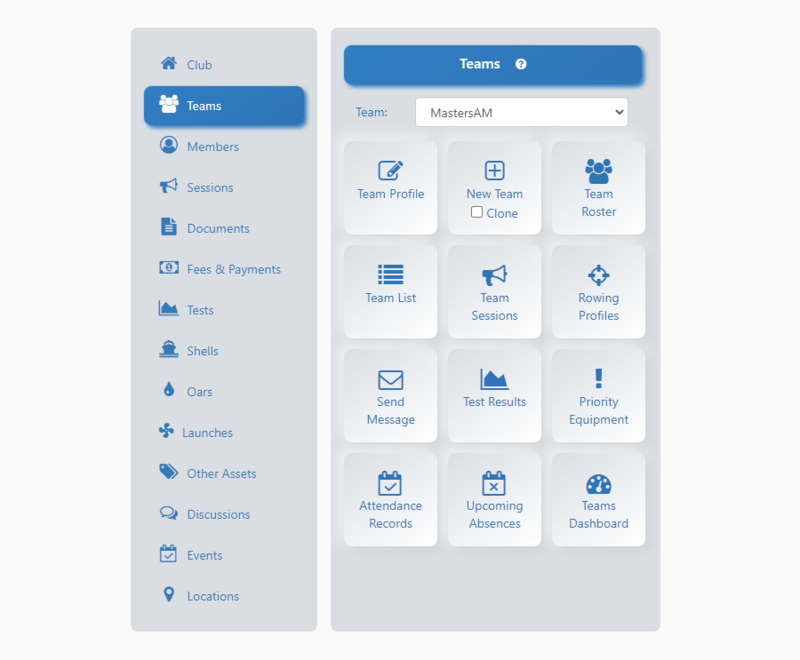 Have you tried other team systems and been frustrated by the lack of features specifically designed for rowing teams? If so, it's time to join the growing community of organizations already using iCrew to improve their daily operations, efficiencies and communications. 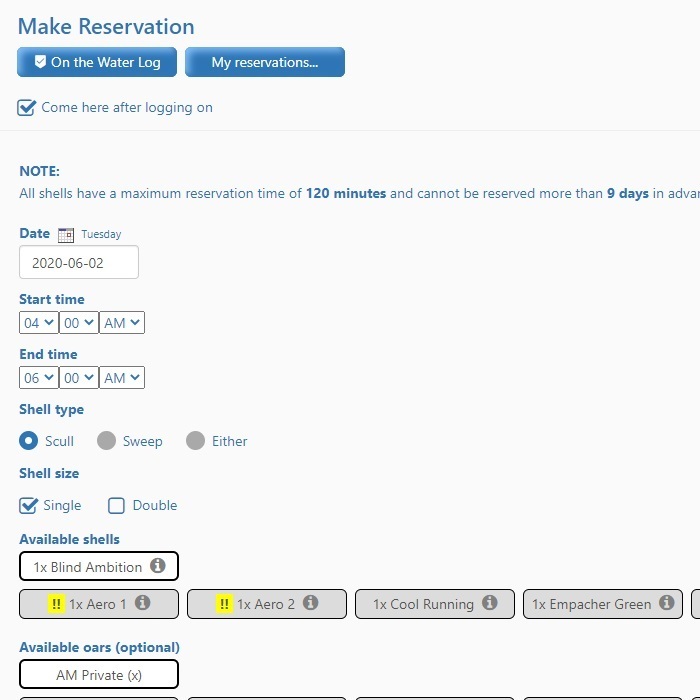 You will not find rowing specific features in any team management system, except iCrew. All the features you need as a rowing organization are here. And iCrew is continuously being improved. Just check out our recent New Features Bulletins. iCrew is full of features that will help you get on the water faster. 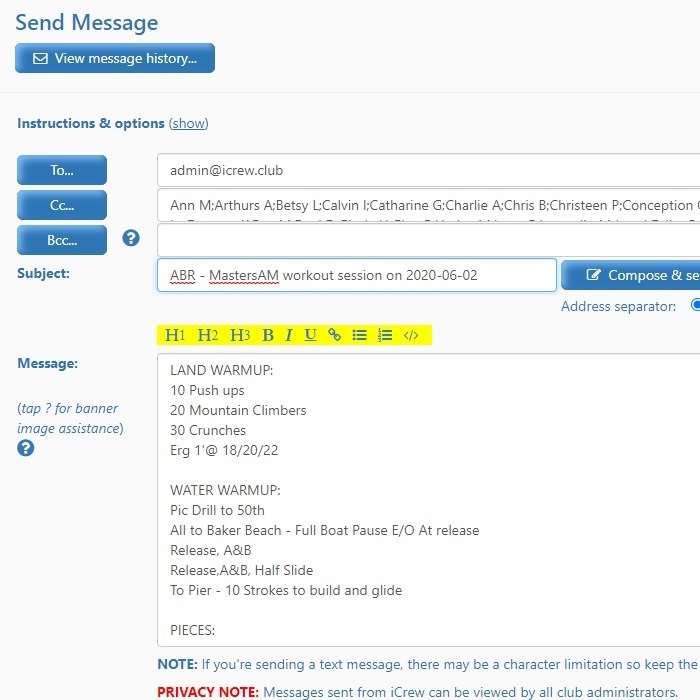 Athletes can easily update their attendance plans for all practice sessions so you know who will be at any given session. Regatta planning is a snap too! And with the various methods for communications, you'll know that everyone will always have the information they need. You may have tried other team management systems in the past but were frustrated that critical rowing-specific features were missing. 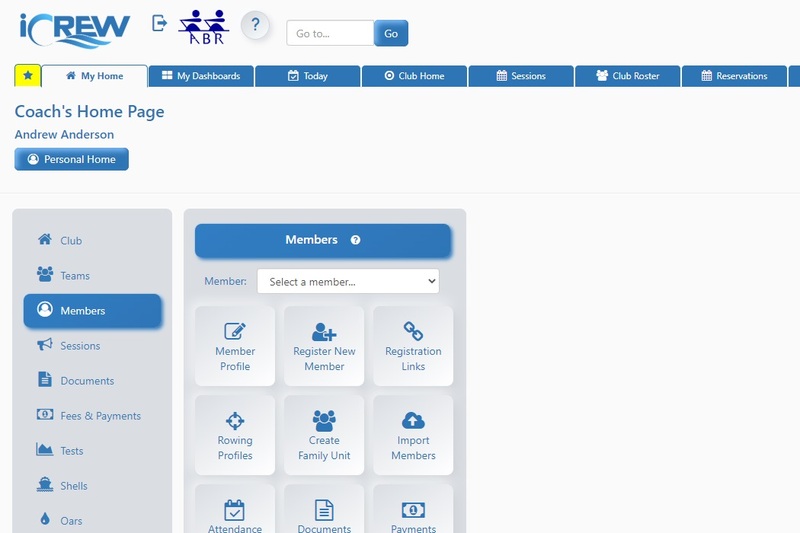 Now with iCrew, all those things rowing clubs need is available in one place. 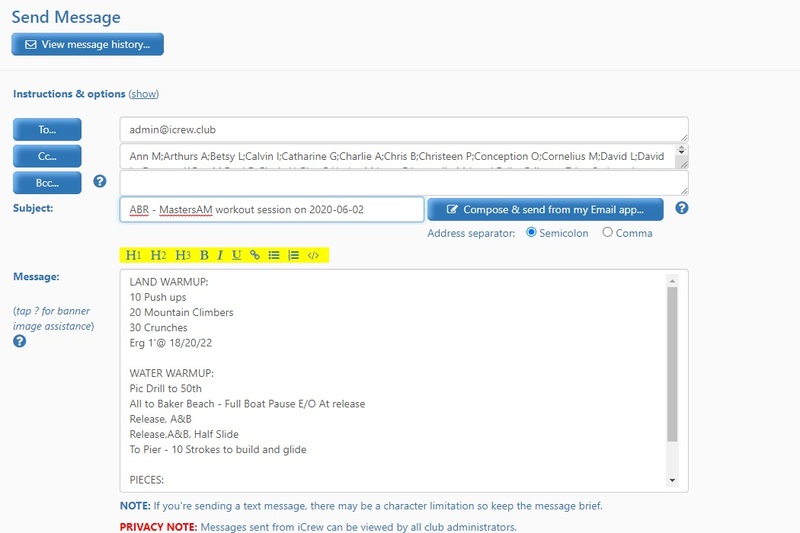 iCrew is packed full of great functionality for club admins, coaches and athletes. 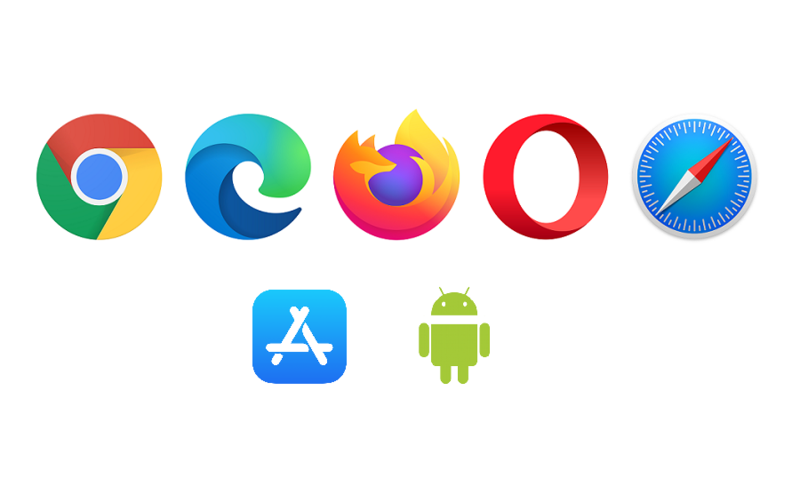 iCrew is a cloud-based system that runs in any internet browser, on any device. You can also install the iCrew app from either the Apple or Android app store. 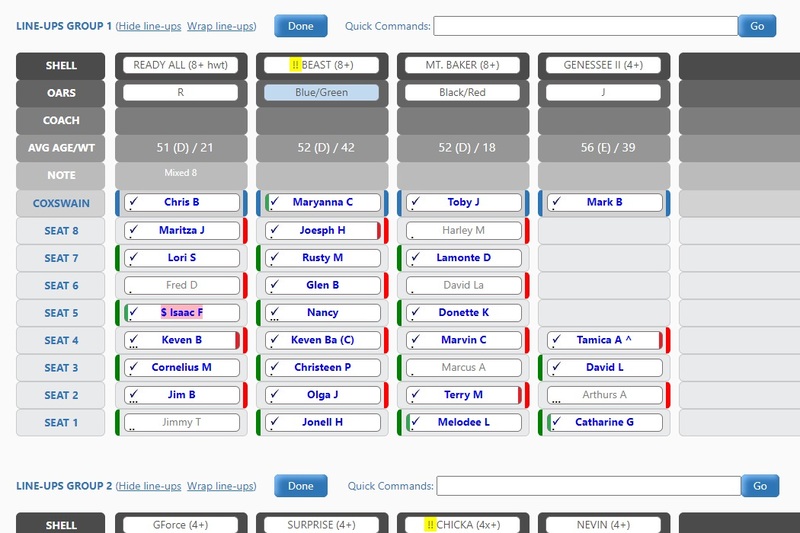 No more having to use multiple systems to manage your crew teams. 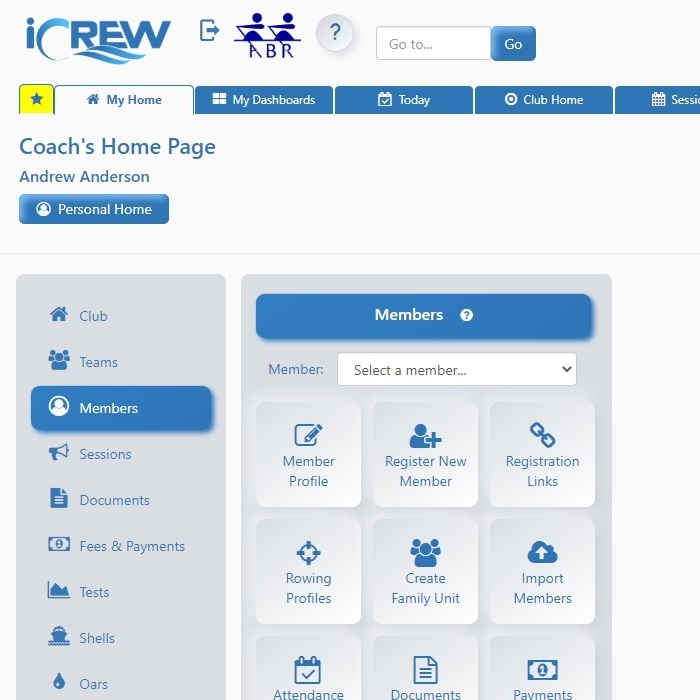 iCrew is a one-stop shop for all your rowing club management needs. 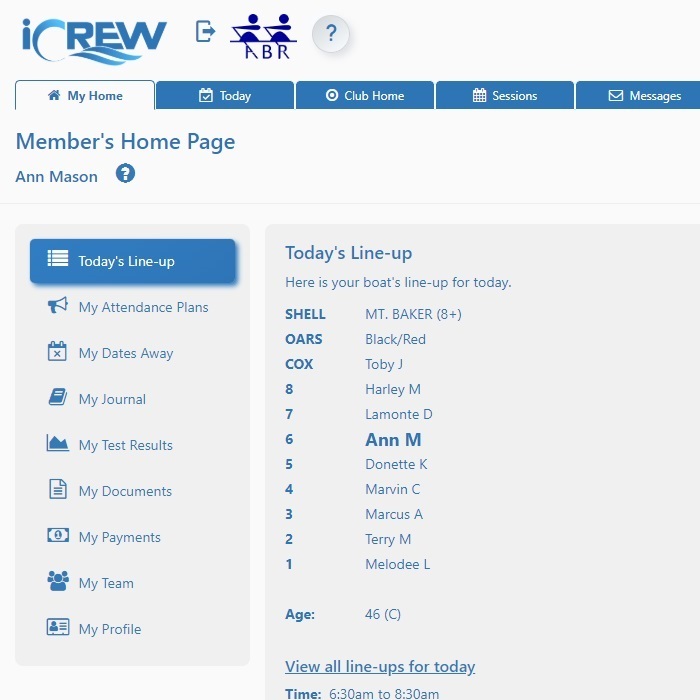 Take a look at this video to get a glimpse of all the great features and functionality provided in iCrew. We also have many short, tutorial videos that help you learn about the features of the system. Start a Free 45 day iCrew Trial Today. It's easy to get up and running with a free iCrew trial. Click here to get started today. 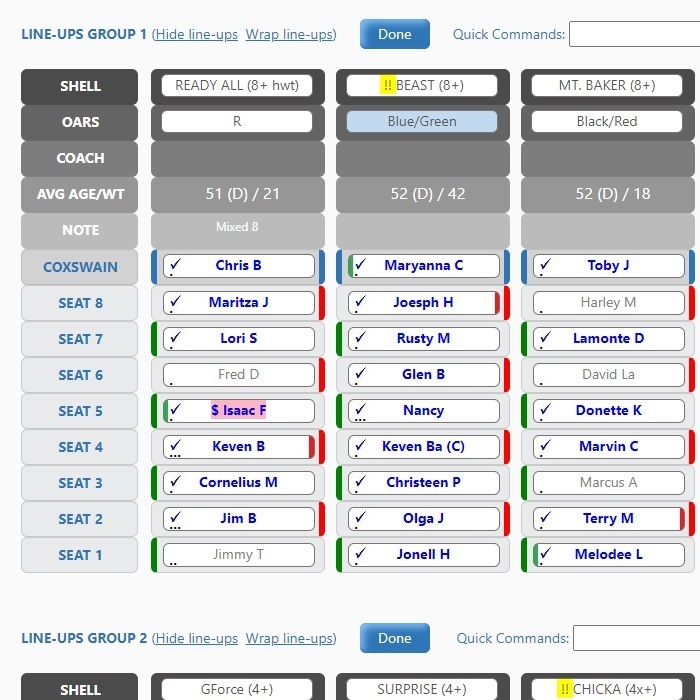 iCrew is full of features, all specifically designed for rowing teams. 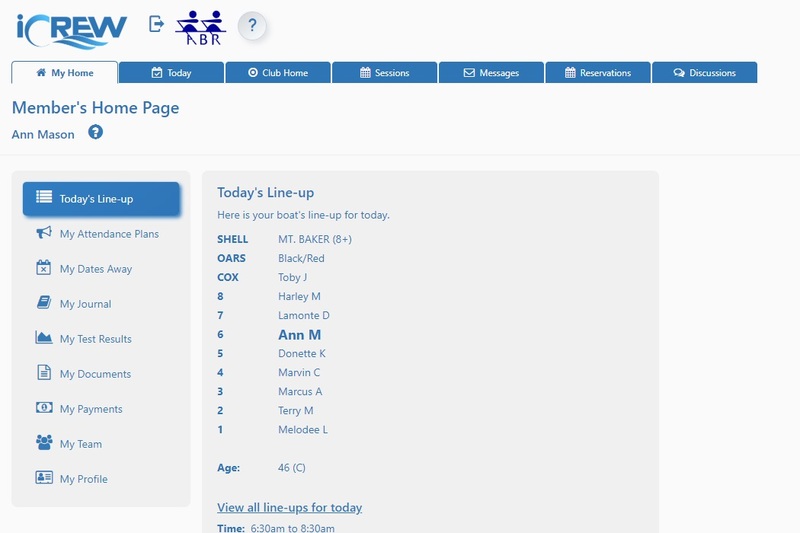 Coaches and athletes each have their own home page designed to offer the functionality key to their role on the team. Mobile apps are also available in both the Apple and Android app stores. We began using iCrew at the start of 2017 Winter season and haven't looked back. 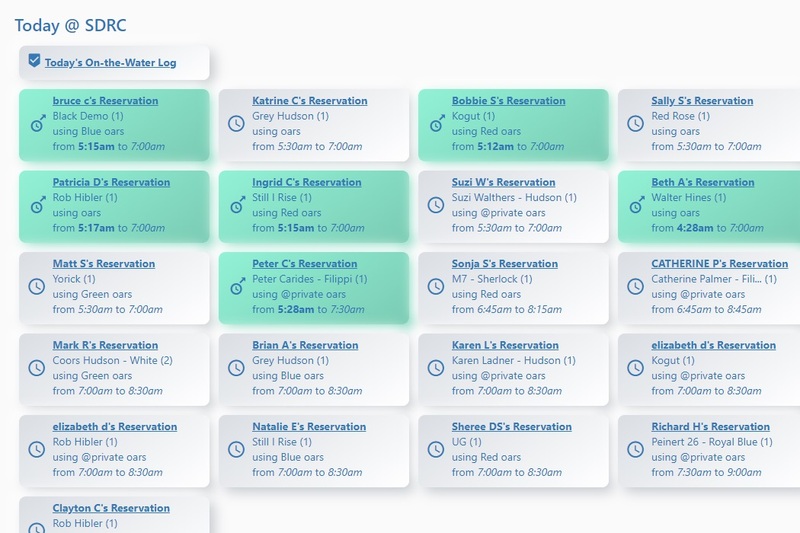 We had our processes pretty dialed in with various spreadsheets, but iCrew allows us to bring everything we were tracking separately into one unified platform - rosters, attendance, lineups, inventory, repairs reporting, forms & payments, volunteer hours, test results, etc. 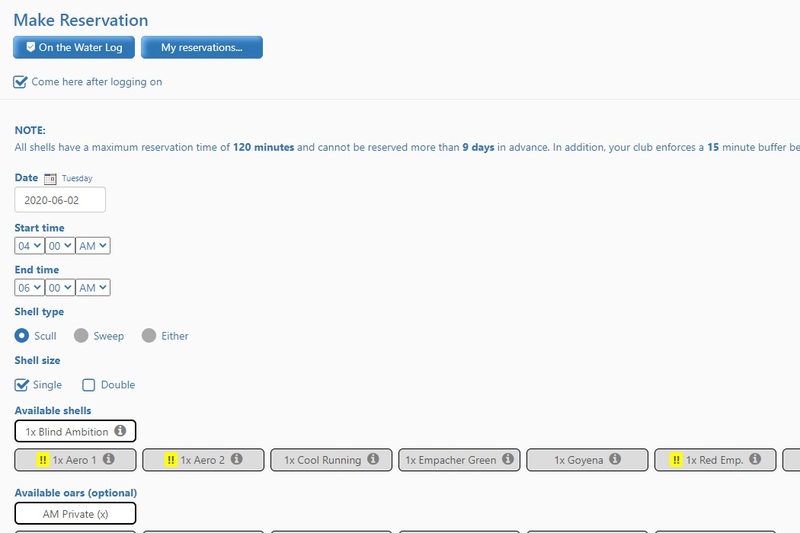 If you're tracking something as part of running a rowing organization, it's probably in iCrew! And one of the best things about iCrew is the developer, Kevin. He is incredibly responsive when I've contacted him with questions, the occasional bug, and suggestions for new functionality, and often responds within minutes, helping with whatever I've thrown at him. Where else can you find that level of support on a computer application? iCrew is for everyone - staff, coaches, rowers, even parents (no more emails asking if they're current on payments, volunteer hours, forms - it's all right there with easy access and full transparency). iCrew has simplified just about everything we do to run our boathouse, allowing us to focus on the most important things - our athletes and rowing well. 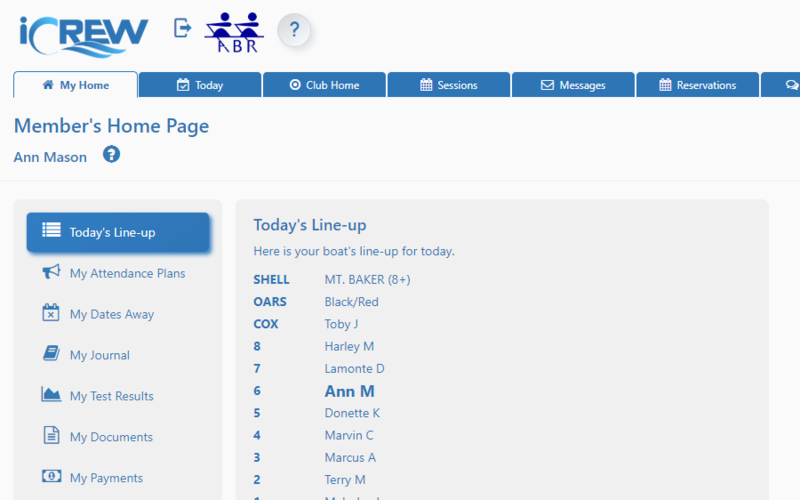 Following a complete overhaul and reorganization at the club I was looking for ways to communicate and to easily schedule participants' attendance at practice sessions. Our existing software platform which was great for tracking practice data was not rowing-specific, so I contacted Kevin to learn about iCrew. 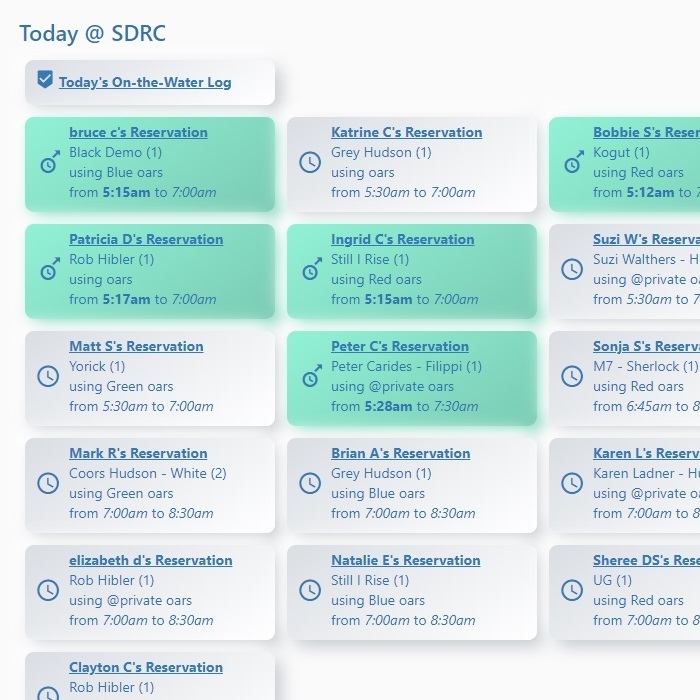 I participated in one of his online training sessions and was immediately impressed with the functionality of iCrew; I could see several ways that it could help me manage the operations of our rowing club. We trialed the system and within a couple of weeks, signed up. Kevin is very supportive and responsive. He answers all my questions, often within minutes, and he has added, or made available, many additional features and tweaks that we have requested. After a couple of months with iCrew we are using it to schedule practice sessions, allocate the appropriate (size, skill-level, etc.) equipment that is shared by all our user groups (elites, masters and juniors). We use the email and text features to communicate with our members and we track the attendance of our high school students. The equipment damage report, with its email alerts feature, helps us keep on top of damage or rigging issues and the ability for the coaches of our different groups to see which boats are available helps keep our boathouse efficient and harmonious. iCrew is well on its way to becoming a complete one-stop rowing club management system that I have no hesitation recommending to all program directors. Out here in the high desert of Boulder, Colorado, well off the beaten path of rowing establishments, we have to get creative on how we communicate with one another, given an absence of facilities, electricity, etc. Mercifully, Kevin Goyena and iCrew have come to the rescue and provided us with an easy to use, reliable platform with which to overcome our communications issues. We truly live by the "Go to iCrew" mantra for all sources of club related information. All that said, the "X-factor" with iCrew is Kevin's timely, helpful, and patient guidance on how to successfully implement the ever-expanding features. It's safe to say that here in Boulder, we are both passionate and grateful for iCrew and Kevin. iCrew is helping bring our organization together. The powerful application helps our athletes, coaches and administrators be more efficient with their time, preparation and communication. We appreciate Kevin's work in expanding the application based on user feedback. It has replaced multiple platforms that were being used in our boathouse. We know that there are more features to discover in iCrew, and we're confident that they will help us take our program to the next level. These organizations are already experiencing the awesome features and benefits of iCrew. You should join them today!